Availability: This product is discontinued and no longer available for purchase. For alternatives browse our Kettlebells department. 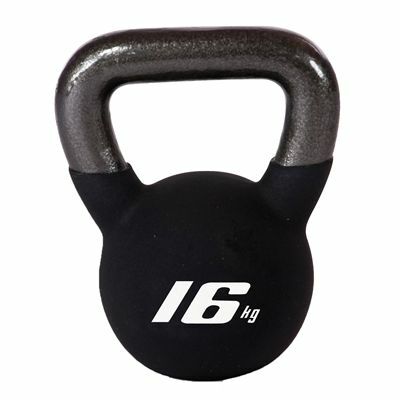 The Adidas kettlebell - 16kg (35lbs) is excellent for intense all round training and suitable for rehabilitation work and strengthening. It has a moulded handle for easy and secure grip and has been cast dipped in neoprene to achieve extra durability. The kettlebell is a powerful tool that can be used for biceps curls or challenging shoulder muscles by making lateral or frontal movements. It is also ideal as additional resistance when making crunches. Differently from dumbbells which exercise muscles in an isolated way, the kettlebell challenges several supporting muscles at once providing a more flexible workout. for submitting product review about Adidas Kettlebell - 16kg.